Denver • Utah Republicans pressed ahead Monday with a legal battle that has divided the party for three years, arguing before a federal appeals court that a state law changing how political parties nominate their candidates is unconstitutional. An attorney for the state argued that the Denver-based 10th U.S. Circuit Court of Appeals must balance the party’s right to determine its own procedures against the importance of broad participation by candidates. 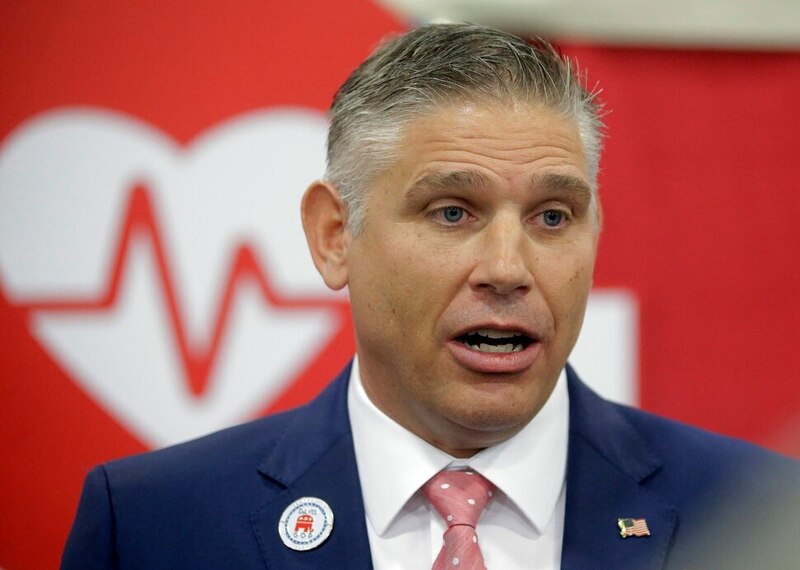 The lawsuit is the Utah GOP’s second attempt to chip away at the 2014 law, which allows candidates to bypass the party’s nominating conventions and instead participate in a primary. The three-member panel of judges gave little hint of whether the arguments swayed them and didn’t provide a timeline for a decision. The party contends it has the right to determine how it picks its candidates and says the law’s signature-gathering requirements for candidates going through a primary are too high, creating an unconstitutional burden for Republicans. Under the law, a candidate can choose to participate in a party’s convention, its primary election or both. The Utah GOP says the choice of systems belongs to the party — not its individual candidates. Chief Judge Timothy Tymkovich, who was nominated by former President George W. Bush, mused that the alternative to a convention “just expands that universe” by letting more people vote and pressed Mumford to explain how that harms the party. Tyler Green, solicitor general for the attorney general’s office, said lawmakers intended “to strengthen democracy.” He acknowledged that the law created some burden for political parties but said the U.S. Supreme Court has upheld some state laws on candidate selection when a larger interest balances the burden to parties. Several members of the panel did question whether Utah’s goal of broader participation outweighs the party’s objections. If a candidate were to win a primary, then campaign in a way that didn’t match the party’s platform, it would be “hugely divisive,” Tymkovich said. The fight over the law has left the party saddled with debt and played a role in the June ouster of its chairman, who spearheaded the legal challenge. Rob Anderson, the new chairman, has said he wants the party to drop the legal battle that’s left it roughly $500,000 debt, but he’s failed to win backing from the GOP’s central governing committee. The law was a compromise that the state Legislature struck with a group of mostly wealthy, prominent Republicans, who were pushing a ballot initiative that would move Utah entirely to a primary system. 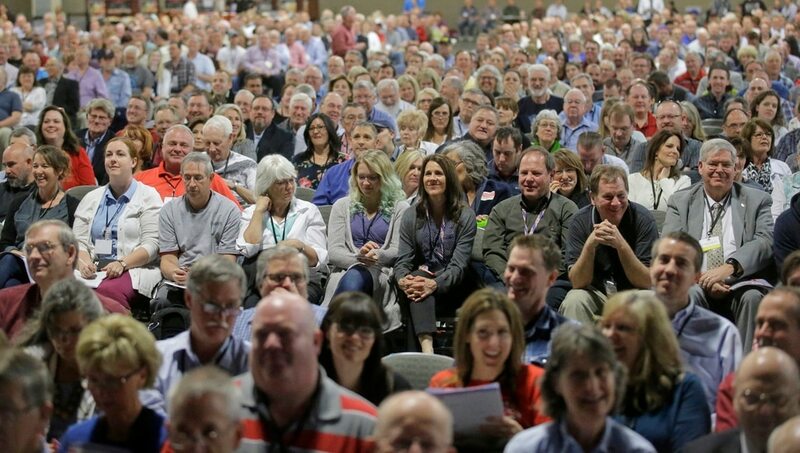 Count My Vote argues that it’s difficult for many people to participate in the convention system, with its requirement of attending meetings in person. The group says the small portion of party faithful attending conventions has resulted in more extreme political positions or candidates without broad support. That argument has been supported by elections held since the law took effect. 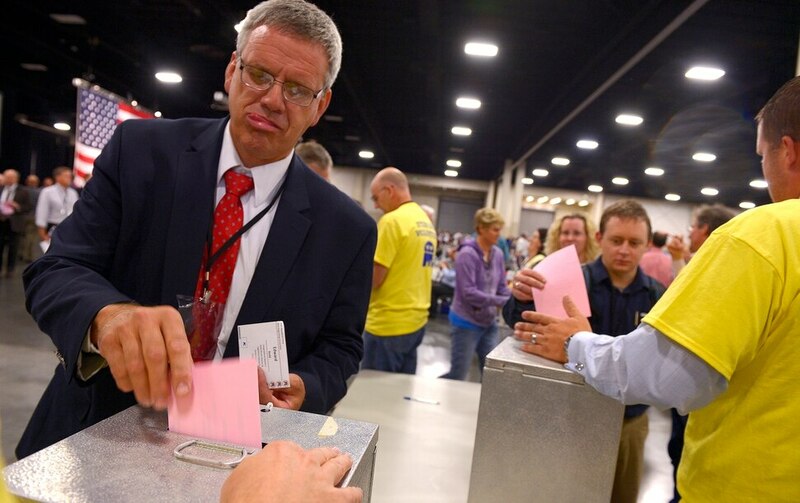 In both a special election this year to replace Republican Jason Chaffetz in Congress and a 2016 gubernatorial election, GOP delegates picked far-right candidates who were later trounced in GOP primaries by more moderate candidates.